Ways to Create a Senior-Friendly Bathroom | renoWOW! In any home, the most used rooms are often the kitchen and bathroom. For older individuals, some modifications may be needed to ensure these rooms meet their requirements. In the kitchen, it could be as simple as moving where items are placed. In the bathroom, however, that may not be enough, and a complete remodel may be necessary. Read on to learn some of our tips for creating a beautiful and safe space. 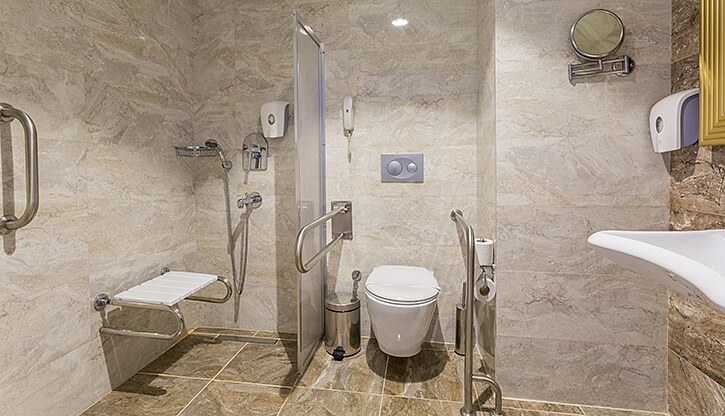 A Walk-In Shower Provides Easy Access – For individuals who have stiff joints, use a walker, or are in a wheelchair, a regular tub is not adequate for meeting their needs. A shower with a high step also poses the potential for problems. In a situation like this, it is best to design a shower with a low step, if any, that is both beautiful and functional. 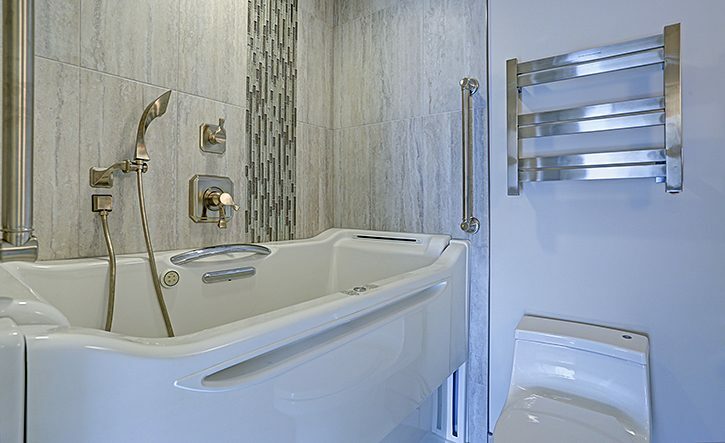 An alternative is to invest in a walk-in tub. Implement a Higher Toilet Seat – Those who have mobility issues, knee or back problems, or low core strength may find it difficult to stand from a seated position. There are a variety of ways to help raise the toilet including elevated seats or a higher base. These toilets are known as chair height, or comfort height toilets. Along with the height, some of these toilets have additional features such as assisted flushing to help make using the handle easier. Cut the Clutter in The Room – We use a variety of products in the bathroom such as makeup, lotions, medicines, and toothpaste. While these are fine when there is enough room to store them, it is when they begin to crowd the countertops that issues can arise. If something is knocked onto the floor, bending to pick it up can lead to a fall. It is also difficult for those who experience stiffness or a loss of mobility to pick up an item, possibly causing them to lose their balance. For this reason, it is recommended to do a quick sweep of any bathroom that is to be used by a senior individual and remove any unnecessary items by placing them elsewhere. Be sure to remove any towels, loose rugs, or clothes from the floor as well to eliminate the risk of falling. Handrails Provide Stability – Handrails are great both for stability and safety. Instinct when you fall is to reach for something to catch yourself with. In a bathroom that doesn’t have handrails or grab bars, this may end up being a shower curtain or other item that is not designed to support your weight. Call a professional to have them installed properly and in the right location to help prevent or lessen the severity of any slips and falls. You can find many varieties of railing to suit the style of your bathroom and do not necessarily need to opt for those metal, medical ones. Non-Slip Floors Help Reduce the Risk of Falls – If your floors are worn or older, they may pose a slipping risk, especially if they become wet. As a bathroom often experiences steamy conditions and water drips, this risk becomes a major concern. Consult a professional bathroom renovator to discuss which flooring options will both look beautiful and also add additional safety measures. The skilled team at renoWOW! takes pride in their ability to meet your renovation needs and desires. Call renoWOW! 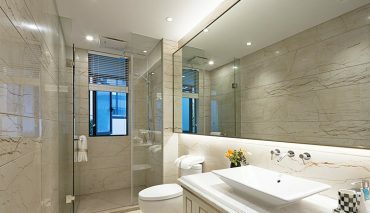 at 416-937-0969 or contact us for information about our bathroom renovation services. We can also provide free in-home consultations and estimates for your other home renovation projects.